Saxadelic Piano & Sax Duo. 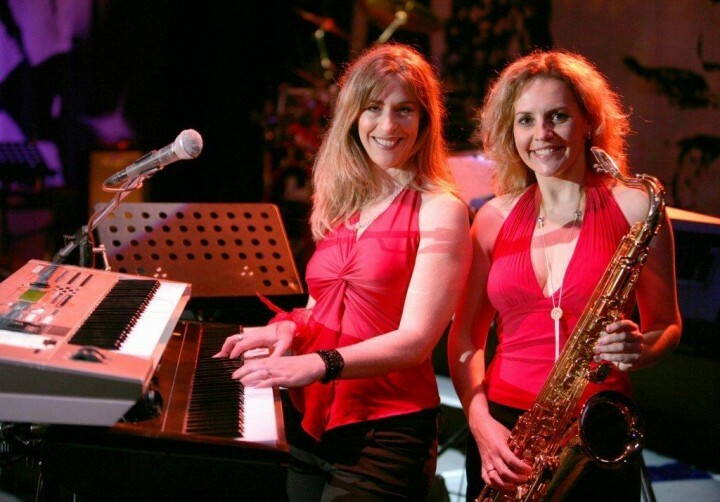 Musical director and keyboard player, Calli Thomson, and saxophonist, Vicky Goddard, have teamed up to form a saxophone and piano duo with style and panache, and perform instrumental and vocal tunes for easy listening, ranging from jazz to popular hits from the �50�s til today. This duo can be mellow background or raunchy up tempo, depending on the mood of the guests or the request of the client. Calli Thomson graduated from UCT specializing in classical piano and jazz and made her mark in the entertainment world in everything from cabaret, musicals and children’s theatre to jazz, rock, dance and blues. She has worked with many of SA’s great entertainers - Taliep Peterson and David Kramer, Danielle Pascal, Mynie Grove, Anton Stoltz, Steve Hofmeyer, Vicky Sampson, Wendy Oldfield and Joseph Clark, to name a few. Accomplished sax player, Vicky Goddard, lends an explosion of sassy sax sound to jazz tunes and popular melodies. Vicky studied Music Education at the UKZN and taught music in Joburg before moving back to Durban in 2006 and currently runs a thriving teaching practice in saxophone, clarinet, theory, percussion and African Music and Dance. She also works with the KZN Youth Orchestra and teaches workshops in African Music and Dance and is involved in drum building workshops through the company Rhythmania. Since 2002 Vicky has performed nationally in many Barnyard theatre productions in Pretoria, Joburg, Cape Town, Plettenberg Bay and Gateway Durban. She has appeared as soloist with both the KZN Philharmonic Orchestra and the Johannesburg Festival Orchestra. 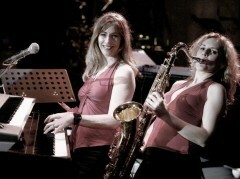 Vicky currently performs as a saxophonist and vocalist at corporate and social events. Vicky plays exclusively on Yamaha saxophones and Calli plays Yamaha keyboards. We also play as a trio with Logan Byrne on upright bass. 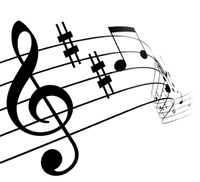 Logan adds vibe and rhythm to our wide selection of jazz swing and Latin standards as well as light pop tunes. Logan is well-known on the Durban jazz scene as well as musicals and theatre shows for his acoustic and electric bass playing. Dynamic drummer Bruce Baker completes our quartet. Bruce was a member of instrumental band Landscape Prayers, and popular rock band Squeal. He currently works in a freelance capacity with numerous artists, such as Darius Brubeck, Feya Faku, Melvin Peters and Melanie Louw, and has played in many musicals and theatre shows such as Unforgettable, Guys and Dolls and Big Band Magic. He teaches jazz, contemporary drumming and rhythm at UKZN. Saxadelic: I don't know why I didn't come.